Hannah Thomas is bringing her own style of music to the roots rock world with a voice reminiscent of young Bonnie Raitt, grit and bravado that draws comparisons to Melissa Etheridge, and the southern rock soul of Chris Robinson. Hannah Thomas has been playing professionally for more than a decade, touring with Indigo Girls and opening for or sharing the stage with Pat Benatar, Melissa Etheridge, Kristian Bush (of Sugarland), Terri Clark, Lydia Loveless, Chely Wright, Michelle Chamuel, Capital Cities, Shawn Mullins, Michelle Malone, Randall Bramblett and more. Thomas's various influences can be heard on her new album produced by Lester Nuby III (St. Paul and The Broken Bones) in Birmingham, Alabama. 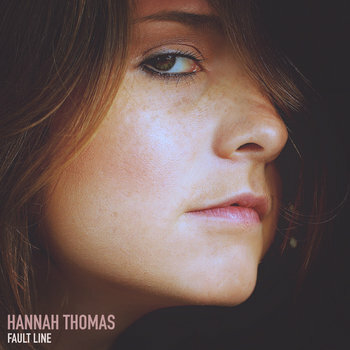 "Fault Line" is her first full-length LP since 2012, spanning the gap between Atlanta's eclectic roots rock revival and the soulful, classic rock sound of Muscle Shoals. Thomas is joined by an all-star band comprised of Brandon Bush on keys (Sugarland/Train), Sadler Vaden on guitar (Drivin N Cryin/Jason Isbell), Jimbo Hart on bass guitar (Jason Isbell) and Chad Gamble on drums (Jason Isbell). The LP includes a song co-written with Michelle Malone. Malone plays lead guitar on that single, alongside Gerry Hansen on drums (Chuck Leavell, Randall Bramblett, Shawn Mullins) and Michael C. Steel on bass (Randall Bramblett). The album also features guest vocals by Terri Clark and Amy Ray of Indigo Girls.